This entry was posted in Future Releases on April 28, 2016 by admin. Highly efficient single belt drivetrain offers 3 motor positions, each with its own performance characteristics. Switching between them requires simple tension adjustments rather than exchanging belts. 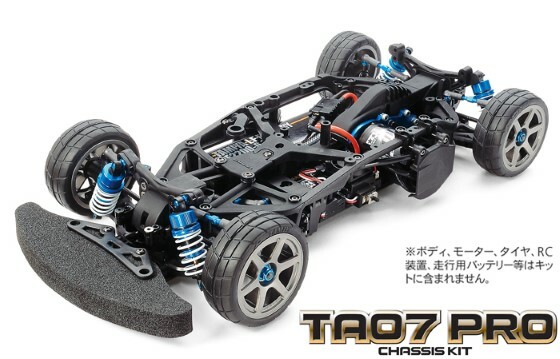 ★ This 4WD R/C touring car chassis assembly kit is endowed with a design influenced by data from the TRF (Tamiya Racing Factory) team’s top level racing activities. ★ It is based around a composite structure that consists of a narrow lower deck and an upper frame, and gives optimal torsional rigidity. ★ The highly efficient single belt drivetrain offers 3 motor positions. 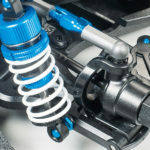 ★ Proven TRF419 suspension, gear differential units and steering components are joined by TRF dampers and universal shafts to make this chassis a hi-spec racer! 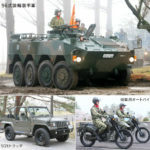 ※Body, motor, tires, R/C equipment, battery pack and charger sold separately. 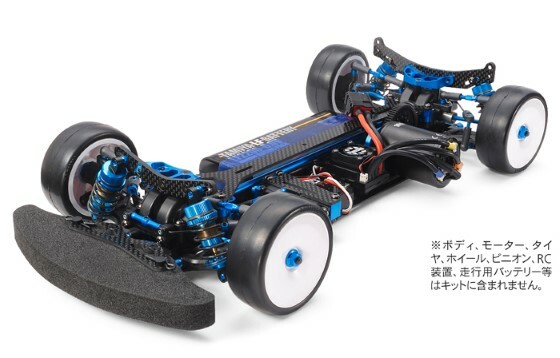 ★ This is an updated version of the thoroughbred 2-belt 4WD racing chassis TRF419. Using the TRF419 double deck layout as a base, numerous components utilize new designs and/or material: carbon fiber lower (2.15mm thick) and upper (2mm thick) decks, bulkheads, motor mount and servo mount. ★ New super short big bore dampers combine with redesigned rear uprights for superior cornering stability. ※Body, motor, tires, wheels, pinion gear, R/C equipment, battery pack and charger sold separately. ★ This high performance shaft-driven 4WD chassis has 2mm thick aluminum lower and carbon fiber upper decks, its double-deck frame giving controlled chassis flex on high-grip surfaces such as carpet. ★ The motor has a left-side mounting point, with a newly-designed aluminum center bulkhead that ensures spur and miter gears give long-lasting, smooth rotation. This entry was posted in Future Releases on April 27, 2016 by admin. 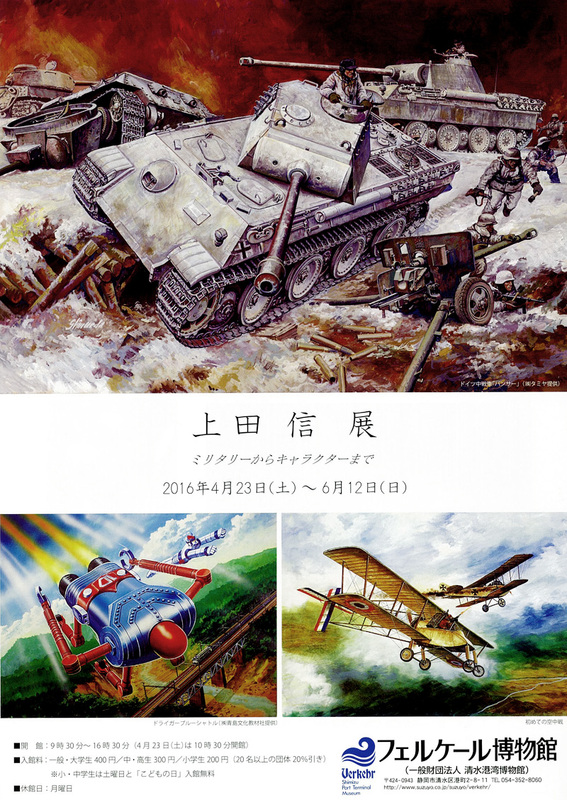 Nation’s largest scale model hobby event “55th Shizuoka Hobby Show”. Exhibition in one fell swoop the new product to be launched by the summer in the Tamiya booth. This time, the new product of the attention in each genre is jostling! . You can see carefully at the venue of the new products before the launch. Of course, also welcome questions and requests to the description staff! 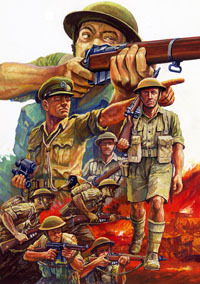 Others, looking forward to shopping in uniform are a variety of products and goods “sales corner”. 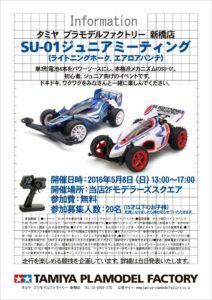 “Tamiya Open House” of popular every year is also held at the same time. 2 days of do our hobby in the fresh green of Shizuoka, please come all together your family! This entry was posted in Event Report, Media on April 26, 2016 by admin. This entry was posted in Media on April 25, 2016 by admin. SU-01 of the orthodox mechanisms that four AA batteries and the power source (Lightning Hawk, Aero Avante). Let’s run the My machine in Modeler’s Square!Beginner, because it is an event for the Junior pounding in the competition to enjoy the feel free to travel, exciting! Have a good time. ※ competition content will be announced at a later date. ★ ☆ We receive by telephone or 2F Modelers Square counter. ★ ☆ ※ Application is April 15 (Friday) will be accepted from. ★ ☆ Deadline: will be closed Narimashitara to capacity. 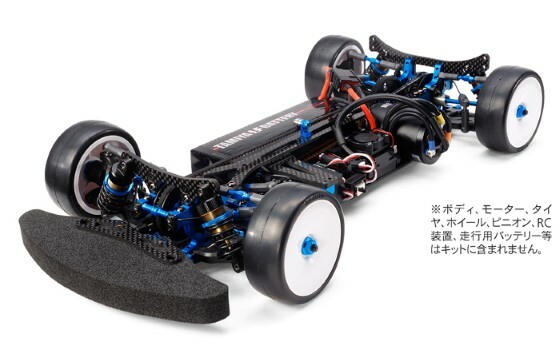 Join Regulations ★ chassis: SU-01 only can participate (Lightning Hawk Aero Avante) ★ transceiver: Tamiya Fine specs 2.4G propoxycarbonyl, TRE-01 unit, only TSU-03 servo is available. ★ for traveling Battery: Tamiya rechargeable AA batteries 1.2V or AA alkaline battery 1.5V only available. 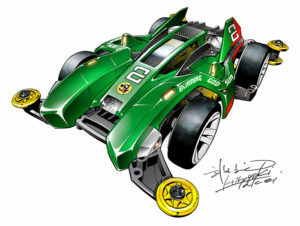 ★ Tire: OP.215 tire or Lightning Hawk genuine tire wheel only available. ★ you can not use the inner sponge. Tire, please use with no processing. ★ Optional parts: available optional parts OP.1687 SU-01 training bumper set, only the replacement of the bearings. ★ Body: Lightning Hawk, you can use only two of Aero Avante. (Please use the one in which the body is always painted transparent body can not be used.) ★ remodeling: Please join conduct assembly instructions Street. Removal of drilling and parts for weight reduction will not be accepted. You can not retrofit kits and electronic parts kind that is not included with the transmitter set, such as a condenser. Battery connector and Giboshi connector for motor connection can not be changed to, such as those manufactured by other companies. 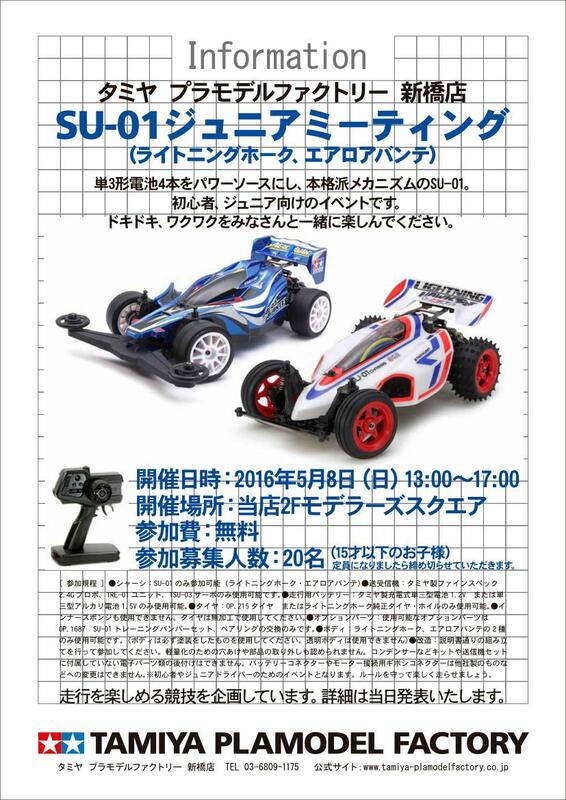 ※ will be an event for beginners and junior drivers. Let’s run happily observe the rules.※ The use of the outlet of Modeler’s Square (2F event floor) in the can not. Also bring in food, please refrain. 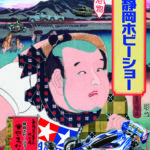 ★ pattern of events are shooting still images, videos, etc., such as print and home page, it may Tamiya will be published in each media involved. On your note, please join us. ★ organizers will pay the best attention to accident prevention, but the responsibility in the case of damage, such as accidents, theft or injury has occurred it can not assume. ★ If you do not follow the instructions of the staff, there is also be asked to exit. Please note. This entry was posted in Event Report on April 25, 2016 by admin. 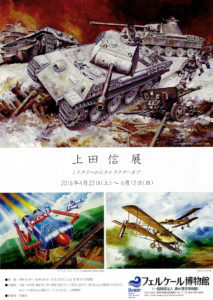 Makoto Ueda, military, regardless of comics, animation, history, the genre until the science fiction stuff, illustrations and precision images, colorful children’s illustrations, to the cartoon by line drawing, and has published a variety of works in a wide range of techniques. 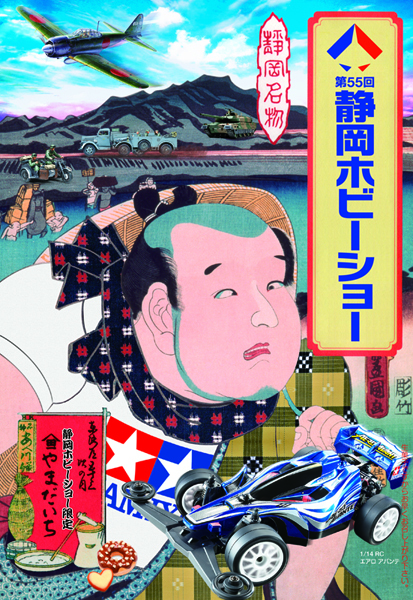 In this exhibition, a variety of activities of Ueda, will introduce along with the charm of the original unique you do not know in print. ★ Admission: general and college students 400 yen / middle and high school students 300 yen / elementary school students 200 yen group discount (20 or more 20% off) ※ Saturday as “Children’s Day”, “Marine Day” is elementary and junior high school students free If you bring ※ disabilities notebook, etc. is free, it will be the one person half those of their companions. – April 29 (holiday): Let’s make the glass picture! Shogakukan Colo Aniki in “Hyper Dash! Yonkuro” the draw Hiroyuki Takei teacher of design machine, new Burning Sun (tentative name) is also currently in development. Tokuda Zaurus teacher of four wheel drive mini cartoon “Dash! Yonkuro” Dash No. 5 dancing doll that appeared in it is through a time of 27 years and welcomed its again. 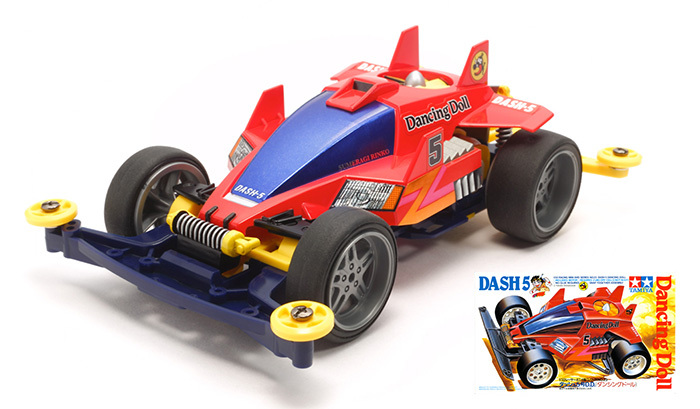 As it is the appearance of yesteryear Dancing Doll, rigidity and scalability to adopt a high super 2 chassis. And resurrected as a premium machine that evolved running. This entry was posted in Future Releases on April 22, 2016 by admin. production volume Ferrari of circuit racing-only model is said to be only 30 cars or so, FXX K is appeared in 1/24. Complex modeling and characteristic rear spoiler of the front-end, large diffuser, of course, reproduce the widening has been body realistic. Such as bucket seats and center console of the left-right asymmetry, such as to surround the head, and in-room reminiscent of a racing car is a three-dimensional feeling enough finish. ★ Length: 204mm. ★ equipped with a slick tire on a sharp 10-spoke wheels. Side of the logo are available in the mark. ★ left and right doors and rear cowl can be opened. Also make Gotae enough V-type 12-cylinder engine ★. Brazilian state-of-the-art small-sized passenger jet that Embraer has been the development of, Embraer 175 appeared in the 1/100 scale assembly kit. It was modeled without leaving the beautiful style. Cockpit interior, such as seats and instrument panel also three-dimensional realism finish. Fuji Dream Airlines set the large-format decals that can be reproduced by selecting a colorful aircraft from Unit 1 (FDA) has been operating up to 10 Units. ★ Length: 315mm. ★ modeled in a tarmac state that issued the front legs and the main landing gear. ★ fuselage top and bottom of the antenna of any kind a sharp finish. ★ window of the cockpit is reproduced in the transparent parts. ★ also available weights to put inside the nose. is the emergence Memorial model for the summer of the Japan Cup. It finished the popularity of Raikiri to white base of the pace car style. MA chassis having a high strength polycarbonate ABS resin. Battery holder and A parts is black made of low-friction resin, such as the gear cover. The super-hard low-height tire was printing the Japan Cup logo “JAPAN CUP 2016 TAMIYA” in white. Exclusively designed sticker, that contains the Japan Cup logo ★. ★ wheel, three-dimensional design is impressive Y-spoke type (red). ★ gear ratio is 3.5: 1. ★ motorized. image※ The photograph is an image of being developed. It is different from the product specifications. ※ The photograph is an image of being developed. Is the “TA” series long-awaited new appeared. In order to exert the optimum roll and pitch stiffness, characteristic composite type chassis is a combination of the upper frame to a narrow type of Lower Deck. Drive system is a highly efficient single belt 4WD. 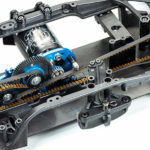 In addition, basic mounting position of the motor can be selected three places in the only re-adjustment of the belt tension, to accommodate a variety of course layouts and settings. 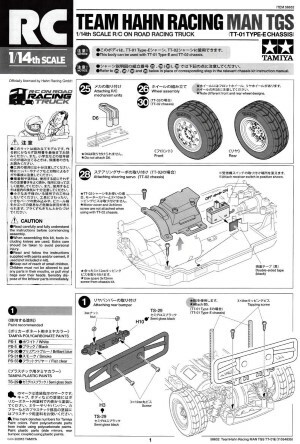 ★ TRF419 legs around and around Giyadefu, steering Ackerman, adopted a servo mount of the type cantilever. 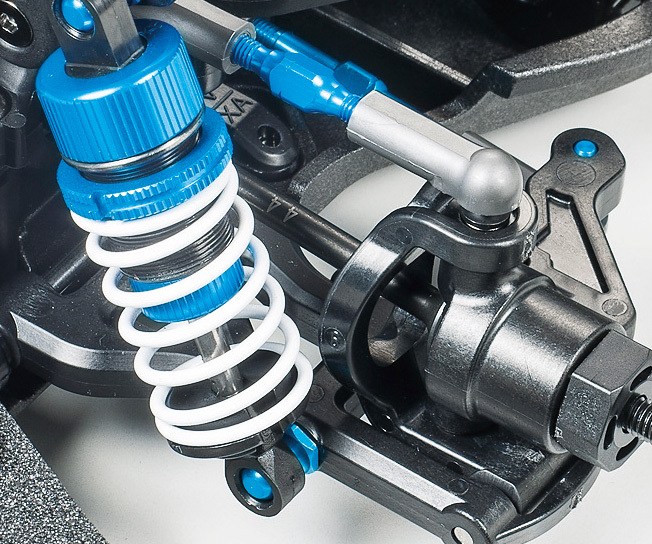 ★ standard equipment high-performance parts such as TRF damper and universal shaft. Only the !! 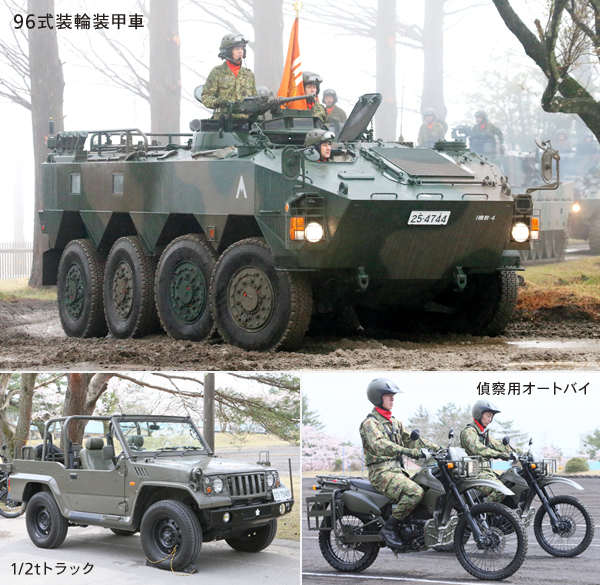 usually the force of the Self-Defense Forces vehicle is coming to the Twin Messe Shizuoka is less opportunity to see, do not miss this chance! This entry was posted in Event Report, Future Releases on April 22, 2016 by admin. Japan’s largest handmade hobby of events to celebrate the 40 th time this year, Japan Hobby Show will be held. Hobby Show of the theme of 2016 is lined with booths that meet a variety of proposals and work, material to enhance the handmade of value “Celebration ~ handmade gorgeous ~”. The Tokyo Big Sight venue, gathered companies creators and lecturers about the handmade, exhibitors of approximately 480 Hold the 800 booths, 4/28 (Thursday), and the like exhibition, sales and workshops to 4/30 (Sat ) performed over the three days. Tamiya also opened a booth “Decoration series” introduce easy-to-handle craft tool around. Demonstration and sweets production experience of decoration using the product is in the booth (surcharge) will be held. 6th 16: 15 ～ 17: 05 ※ each time the number of participants 3 people ※ day acceptance (at Tamiya booth) will be distributed the tickets to those who ※ wish to participate (twice a day). In the case of the more capacity each time, it will be lottery at the time of ticket distribution. ※ The following children elementary school please participate in guardian. at the experience fee of 1,800 yen (including tax, material cost included) / production time about 50 minutes / Tamiya in the booth　fabricated using the Tamiya Decoration Series It is a workshop. Under the parfait glass to make a strawberry jelly, ice and fruit parts of Bear form on it using the “transparent epoxy resin”, and finish with Serve with whipped. Ice You can choose either of the “chocolate (Brown)” or “cafe au lait (beige)”. 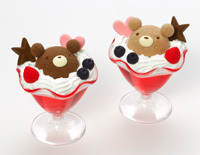 Also to the interior of the room and enjoy the cute parfait making! (One fabrication) ticket distribution 10:00 to 10:10 1-3 times in minutes 1st 10:15 to 11:05 second time 11:15 to 12:05 the third time 12 : 15:00 to 1:05 p.m. tickets distributed 1:00 p.m. to 1:10 p.m. 4 to 7 th minute 4th 13:15 to 14:05 5th 14:15 to 15:05 6th 15:15 to 16:05 7 th 16: 15 ~ 17: 05 ※ 30 (Saturday) is not held in the seventh. ※ each time the number of participants 3 people ※ day receptionist (at Tamiya booth) ※ will be distributed the tickets to those who wish participation (twice a day). In the case of the more capacity each time, it will be lottery at the time of ticket distribution. ※ The following children elementary school please participate in guardian. This entry was posted in Event Report on April 20, 2016 by admin.